Following a tweet from one of our followers, @moggymidge , about how they'd used sheep fleece in their bug hotel, this post is all about wool. Wool is a great material to use in bug hotels, its natural, can be shaped and squeezed into spaces. 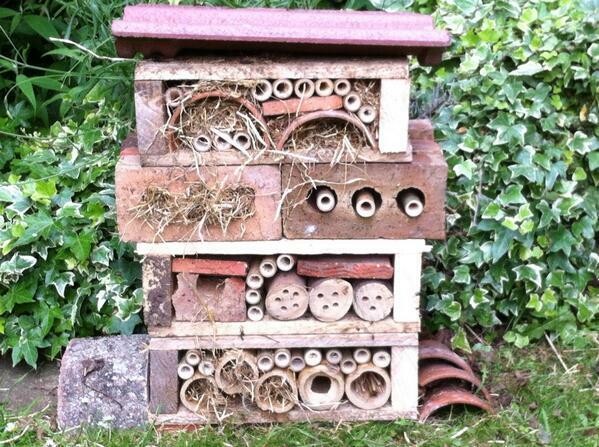 It's probably the perfect filler to go round other elements of the bug hotel. It also provides lots of different shaped spaces for invertebrates. Here's another bug house, where you can see the use of wool.